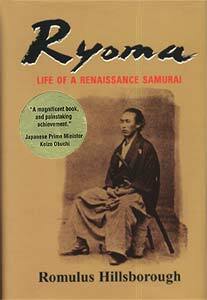 This is an important fictionalized biography of Sakomoto Ryoma, an incredibly adept 19th century statesman, warrior, businessman and samurai who was a founding father of modern Japan -- a genius in a time when creativity and independence of thought were rare. The book is very readable and exciting. To westerners it opens up an important period in Japanese history as it weaves together the complex tapestry of ideology, events, life, culture and political/military forces leading to the modern age -- all portrayed through Ryoma's eyes. But this is no dry text. The dialogue is lively, and the personalities and views of many important leaders are brought to life, mixed with a sense of drama and history that holds the reader. Ryoma lived during the political turbulence instigated by Commodore Perry's forced opening of Japan beginning in 1853, when western power thrust open this feudal, isolated nation. In the backdrop was western subjugation of China and India which spawned fears of a similar fate for Japan. Suddenly confronted with the reality of superior western armament and technology, Japan was split on how best to respond -- some were dedicated to expelling the barbarians at any cost, while others favored opening the country. At stake was no less than the independence and future of Japan, as powerful political/military forces jostled for position: the Shogun and the Tokugawa regime in Edo fighting to maintain their political/military hegemony (one they had maintained for hundreds of years), the Imperial Court in Kyoto (under the Emperor) which many sought to restore to governmental power, and powerful regional powers (hans), who plotted against each other as their allegiances changed. It was this political cauldron that brought forth Ryoma and other fascinating samurai leaders who piloted internal factions into a modernized Japan. The book begins with Ryoma's formative years. At first Ryoma's life was uneventful as he grew up as a lower class samurai in his native province of Tosa. But then he traveled to the Shogun's capital, Edo, and distinguished himself in the study of fencing (kendo) and witnessed the arrival of Commodore Perry's warships. He soon realized that feudal Japan was no match against foreign technology and that samurai spirit could not stem the power of Western armament. These experiences shaped him as a leading protagonist in the overthrow of the Shogun. Later, back in his native province of Tosa, Ryoma became associated with revolutionaries who spearheaded political assassinations (by the sword) in the name of preserving Japan from foreign influence and restoring the Emperor to power. Seeking another path Ryoma abandoned Tosa to become a masterless samurai. Leaving his clan without official permission was a crime which placed Ryoma on a list of wanted men. Pledged to slay the Shogun's naval commissioner, Katsu Kaishu, who is seen as a traitor, Ryoma became captured by the logic of this enemy. This brilliant naval student and leader adopted the young samurai (Ryoma) and gave him a powerful gift -- western naval knowledge -- the modern equivalent to an internship on a Star Trek Voyager. This knowledge became the key to a future political alliance with a powerful clan, the Satsuma, under whose sponsorship he and his men started a western style trading company and received the use of a ship. Ryoma and his company supplied armaments (guns) to a rival clan, the Choshu, who headed the revolutionary movement against the Tokugawa regime. This supply relationship and Ryoma's personal political acumen helped forge an unlikely relationship between these two distrustful and once rival clans -- an alliance that eventually spearheaded the downfall of the regime. In this drama Ryoma is a most unlikely candidate. He was among the Shogun's most wanted man, an outlaw in constant hiding although he seemed almost indifferent to his safety -- as if he felt protected by some powerful unseen force. His lower samurai rank would normally have barred him from association, much less influence over, powerful leaders. And his worn and soiled clothes, unkempt hair and non-attention to personal hygiene did not contribute to a heroic image. In addition he was brash and often flaunted proper etiquette. Not what you would picture for a diplomat. But his persuasive vision and ideals combined with judgment of people and an almost uncanny sense of timing influenced a generation of great leaders who would shape Japan's entry into the modern era. He also provided an outline for action. Ryoma penned the political plan for the future of his country by which the Shogun relinquished his power and reins of government to the Emperor who sat over a union of former feudal clans. Throughout the book the reader is introduced to Japanese samurai and other leaders, political groups and regional military powers which, to those not versed in Japanese history, may be at times difficult, even daunting, to remember. But the confusion is worth the effort, for what emerges is a riveting political and military drama -- the powerful story of Ryoma which is so large that it is often difficult to remember that the tale is one of history and not fiction. To martial artists this book will open up an understanding of samurai and the enlightened role they played in laying the keystones of modern Japan. These were members of the feudal power structure and society who saw beyond the narrow vision of their own heritage and position. One also sees the role of early fencing societies (kendo associations) at a time when kendo was not just limited to sport, but when its practice was used to train those whose swords were tools of political and military warfare. This book also educates the reader about the role within Japanese history of the great southern Satsuma clan -- the clan which had earlier controlled and then invaded and subdued Okinawa and the Ryukyu Islands and whose ban on weapons spurred the development of karate.